Dr. Mary Buelow graduated from the University of Illinois, College of Veterinary Medicine in 2004. Following graduation, she began her career as a general practitioner first in Cincinnati, Ohio for 2 years, followed by a busy general, emergency, and specialty practice in Yonkers, NY, where she began to focus on the field of dentistry. For three years, she worked closely with a local board-certified veterinary dentist and attended advanced dentistry courses and forums to broaden her knowledge in the field. In 2009, Dr. Buelow began an American College of Veterinary Dentistry approved veterinary dental and oral surgery residency at the University of Illinois, College of Veterinary Medicine. She studied under Dr. Sandra Manfra Marretta, one of the founders and pioneers in the field of veterinary dentistry. Having completed her residency, Dr. Buelow returned to practice dentistry and oral surgery in the New York City region and earned her board certification from the American Veterinary Dental College. 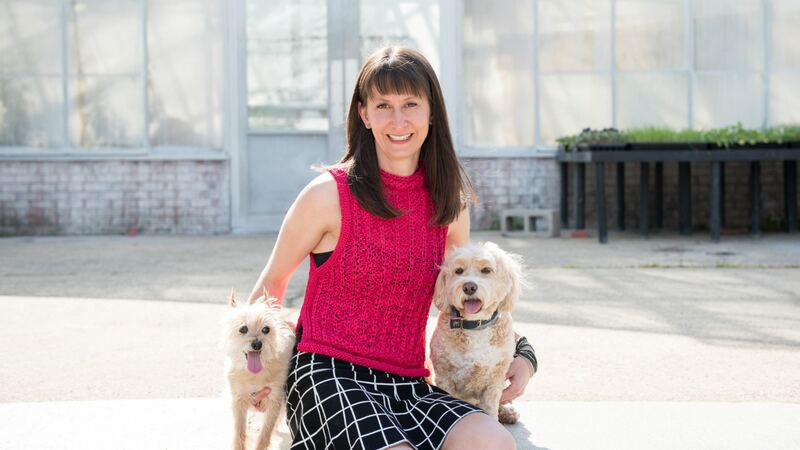 During that time, she was an active member of the Veterinary Medical Association of New York City and served as President of the organization in 2016. In 2016, Dr. Buelow joined the Dental and Oral Surgery service at the University of Pennsylvania, School of Veterinary Medicine as an Assistant Professor of Clinical Medicine and was an active clinician and teacher there for almost 2 years. She and her husband decided to relocate to northern Virginia, closer to family, and she is now the proud owner of Animal Dentistry & Oral Surgery in Leesburg, VA. When not at work, they both enjoy tennis, hiking, and exploring Northern Virginia. They currently have two dogs and two cats, all 4 rescues from different parts of the country. Aliases: Foodie Noodie, Noo Noo. Noodles was a patient of mine when I was a general practitioner. She had been adopted by a woman who had 30 cats and a dog in a 1- bedroom apartment in Manhattan. Although I had 3 other dogs at the time and definitely didn’t need another, after I spayed her, I couldn’t give her back and her owner was thrilled to see her go to a good home. So Noodles, (formerly known as Elvira), came home with me that day and seamlessly joined the pack. Likes: food; being naughty—usually involving food. What she is best at: Swimming, stealing food from others. Notoriety: Noodles did a short stint as a bartender, but was fired for eating all the beer nuts. Mudgy was from the Cincinnati ASPCA. The young couple that originally adopted weren’t prepared for the many medical issues that he had, so I adopted him at that point. He had these medical issues his whole life, but we were able to keep him fairly stable for about 12 years! Dental Status: Lost a few teeth about every year due to periodontal disease. He had about 7 left when he died. Likes: He loved his “people,” and once you were one of his people, you couldn’t go anywhere without him following. His people were my sister, my technician Suzanne, my good friend Sara, and my husband Nate (I was definitely not one of his people because I was responsible for his medical care). He also loved playing with his best friend, Noodles. Notoriety: Never really figured out that it wasn’t okay to pee in the house. We sure do miss your two black eyes and one black nose, Smishy.